Time definitely flies when you’re having fun. I was in New Orleans last week celebrating my mom’s birthday, after coming down from the high that was Andrea Untangled, and I completely forgot that Indie Untangled turned FIVE YEARS OLD a week ago! When I sent out my first newsletter on April 4, 2014, in order to spread the word about indie dyer shop updates, I never could have dreamed what Indie Untangled would become: events like the Rhinebeck Trunk Show, Indie Goes West and Andrea Untangled, a place for exclusive colorways and a way to raise thousands of dollars for the National Park Foundation. Subscribe to the newsletter by midnight Eastern time on Thursday, April 18 and you’ll be entered to win an Untangled shawl bundle with the exclusive colors from La Bien Aimee. 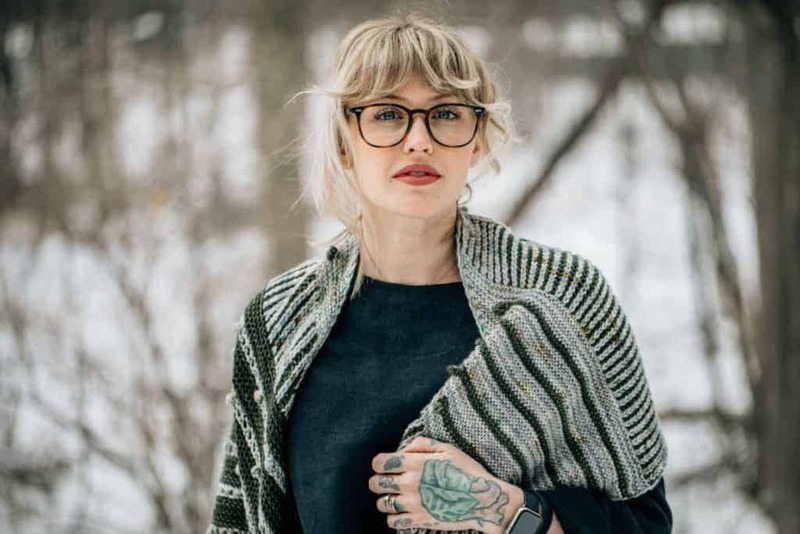 Comment on this blog post by midnight Eastern time on Thursday, April 18, with your favorite Indie Untangled dyer/designer/maker discovery and you’ll be entered to win a Rainshadow shawl bundle with the exclusive colors from La Bien Aimee. Keep your eyes on the Indie Untangled Instagram account next week for a separate giveaway there. This entry was posted in Indie Untangled and tagged free stuff, giveaway, indies, yarn. Congratulations, Lisa! And I think I’ve been with you since nearly the beginning! (I think I heard about it on the Yarn Hoars Rav board.) Wishing you many more anniversaries! 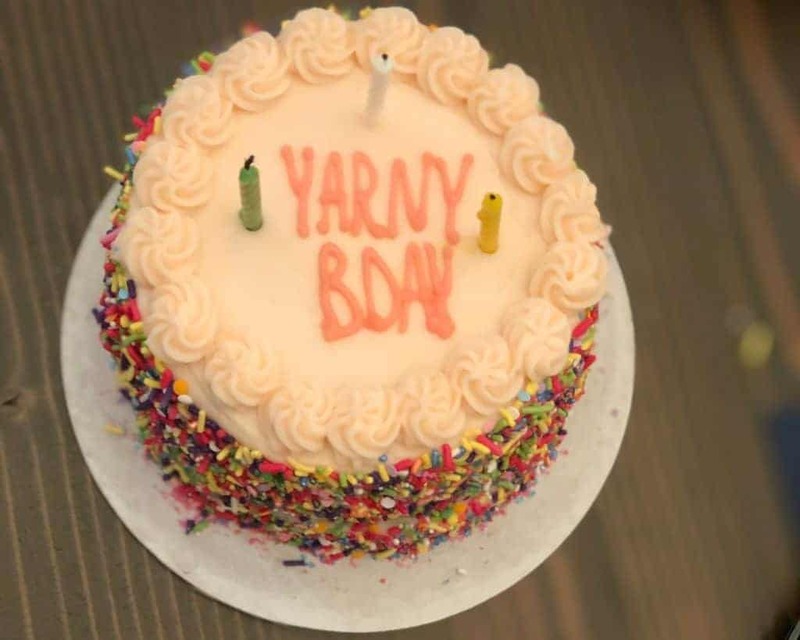 Happy Yarny Bday! So glad you are here. Love destination yarns with the national park collection! Happy birthday! And congratulations on creating such a wonderful community/newsletter/gathering space! I love McMullin Fiber Co. Yarns. Soooo beautiful. Enough said. Happy birthday! Lisa, Congrats on 5 years. I’ve enjoyed all of your Rhinebeck Indie Untangled trunk shows! Looking forward to many more to come. You have so many great designers and yarn dyers. It is seriously hard to pick just one! Happy yarny Birthday! Thanks for bringing all the beautiful colors and patterns and people to all of the corners of our worlds!! So far reaching!! Keep up the excellent work!! Andrea Mowry is one of my favorite designers. She takes it away every time. I’ve discovered lots of amazing makers through your site, but one special find was Porterness Studios with their beautiful jewelry and shawl pins. Keep up the beautiful work! Oh man. I found Slipped Stitch Studios through you – love their stuff. Also, Dirty Water Dyeworks, Invictus Yarns, Bare Naked Wools…too many to count! Congratulations Lisa and happy birthday to Indie Untangled! My favorites are your interviews with dyers and designers. 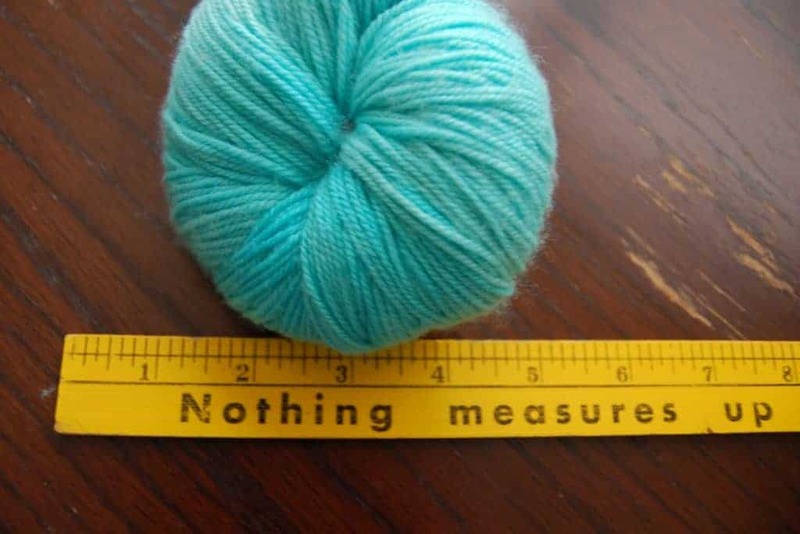 It’s so fascinating to learn about what motivates people in the fiber world! Love the exclusive colorways of “Knitting our National Parks” and “Where we knit”. I have purchased a few and and been very happy with the resulting projects. Happy birthday!! Destination Yarn and Space Cadet always inspire me! I was happy to discover Space Cadet Yarns through Knitting our National Parks. Their “Gunnison” park yarn was love at first sight! Happy birthday to IndieUntangled and congrats to you, Lisa! It has been amazing to see IU grow and thrive. I could not choose just one dyer, so I will tip my hat to IU for allowing me to see The Uncommon Thread, Astral Bath, Dark Harbour and Western Sky Knits in person at the trunk show. Happy, happy yarny BDAY! A friend has purchased some gorgeous La Bien Aimee and let me fondle it 🙂 Plus I love Melanie Berg’s shawls, so what a wonderful giveway this is IMO. I love to see all the dyers and designers you feature. The two that are new to me that I learned of through you are Destination Yarns and October House. Thanks so much for all you do! So many discoveries – a recent favorite is Little Fox Yarn. Happy birthday, IndirUbtangled! I’ve been drooling over the National Parks yarns since you’ve started highlighting them. Every time I look at Purple Lamb’s Eight Days of Easter set I swoon! Very, very tempted to purchase that one! But the BEST one is FARM GIRL FIBERS. I purchased her CROCUS colorway after they were highlighted in your newsletter and it just arrived today. I’m SO EXCITED to go home and get started on a pair of socks with this yarn!! Happy yarn birthday! Love those shawls. 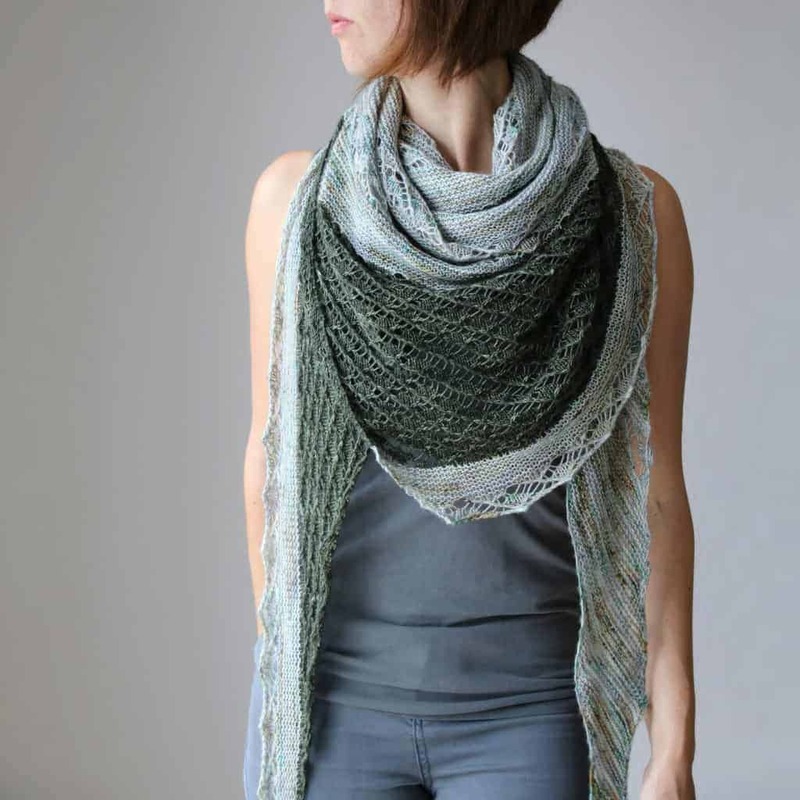 Bare Naked, Skeinny Dipping, Magpie and La Bien Aimee have been just a few that I have had the chance to learn about/purchase from as a result of the newsletter and trunk shows. Happy Birthday, and many more! Woohoo happy birthday! You guys are killing it! I was so lucky to discover Duck Duck Wool at your pre-Rhinebeck event last year, and I can’t wait to come back and visit them again in the fall. Another Andrea Mowry fan here! I love Slipped Stitch Studio’s Pretty Sweary Bags.